Every year around the same time, nearly every organization having anything to do with weather issues their thoughts on the upcoming winter forecast. The Farmers' Almanac is usually first, putting the internet into tizzy about what snowy, cold winter this year is bringing, no matter the meteorological conditions at play. 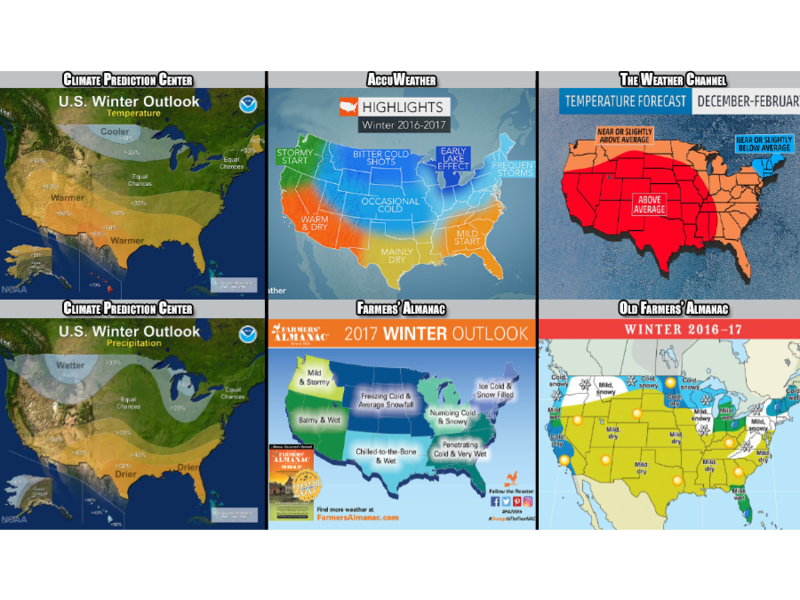 After the Farmers' Almanac, both private and public organizations issue their forecast for the months of December, January and February. Companies like AccuWeather, The Weather Channel, the Old Farmers' Almanac and the Climate Prediction Center piece together what the United States can expect for the winter season. Nearly every single one of these forecasts places La Niña into the equation, although it's expected to be a weak one. In the video above, each forecast is examined region by region to find out where these forecasts agree and where they disagree.